A couple of days ago I went up to London to meet my editor, Bella Pagan at Tor. Editing is about to commence. household debate about whether the bushes were actually holding the bank up, but it hasn’t collapsed so far – okay, ‘so far’ means ‘in the last two weeks’ but I’m feeling pretty confident. Anyway, I did come up with a few more rules relating to shrub-reduction, but they turned out to have relatively little application to editing. For example, ‘Don’t wear ancient Ugg boots while gardening on a really steep bank. One slip and you’re tobogganing down the slope backwards and on your face. The one about never knowing what you’re going to find when you start hacking extraneous material away probably had some merit in it. Although my novel has a noticeable lack of little red lego astronauts with smiley, happy faces. Maybe I just haven’t done enough editing yet. 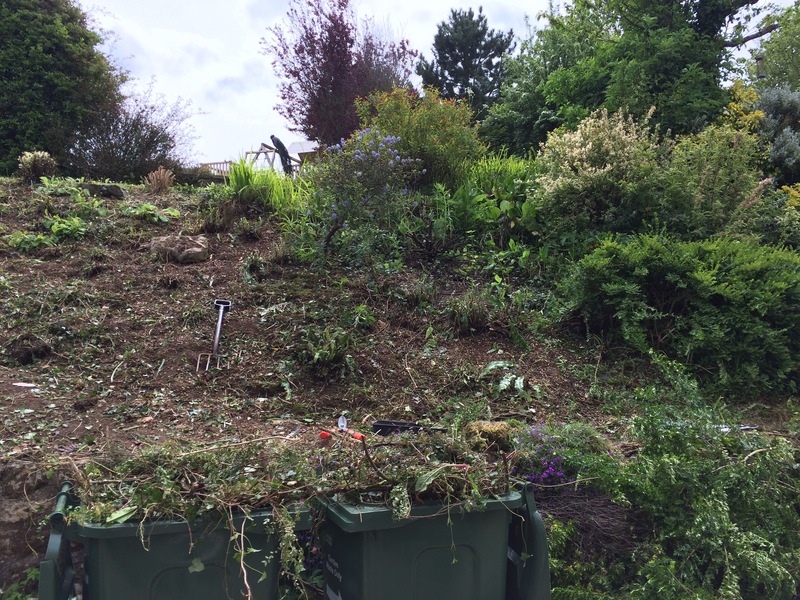 So I’ve abandoned my ‘everything I know about editing I learned from gardening on a really steep slope’ post. But it occurred to me the other day that I’m starting the editing process almost exactly a year before publication day – and that it’s almost exactly a year since I started writing the book in the first place. I’ve read a lot of blog posts about the journey to publication, but I still find them fascinating, because the process is otherwise fairly impenetrable. Most writers have a broad idea of the chronology of it all, but I would imagine that it’s only a small minority who have any knowledge about the finer details of the process. So I’m going to try and keep up a series of ‘a year in the life of a book’ posts, covering the steps along the road to publication day, and also looking at the year that’s gone, including the writing and submission stages. Hopefully it will be useful for people who are submitting or getting close to submitting. There might even be some pruning and cutting metaphors. But probably no shrubberies, lego spacemen or unstable garden waste bins.